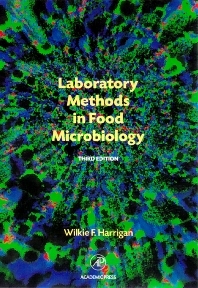 Laboratory Methods in Food Microbiology describes a wide range of methods for use in the microbiological analysis of foods, including approaches to counting and detection procedures for microorganisms, identification of bacteria, yeasts and fungi, microbiological analysis for the main food commodity groups, and safety in the food microbiology laboratory. The book also discusses specific food poisoning outbreaks in the United States. Scientists and final year and graduate students in food science, technology, or microbiology. Basic Methods: Introduction. Management and Operation of the Microbiological Laboratory. Basic Microscopic Techniques. Cultivation of Microorganisms. Determination of the Number and Detection of Viable Microorganisms in a Sample. Determination of the Total Number of Microorganisms in a Sample. Composition of Culture Media. Selection of Microbial Colonies for Examination and Identification. Methods of Anaerobic Culture. Cultivation in Microaerobic and Carbon-Dioxide-Enriched Atmospheres. Biochemical tests for Identification of Microorganisms. Physiological tests. Serological Methods. Molds and Yeasts. Techniques for the Microbiological Examination of Foods: Introduction. Methods of Sampling. Preparation of Dilutions. General Viable Counts. Psychrotropic, Psychrophilic and Thermophilic Counts. Detection and Enumeration of Indicator and Index Organisms. Detection and Enumeration of Pathogenic and Toxigenic Organisms. The Microbiological Examination of Specific Foods: Introduction: the Effect of the Food Environment on Constituent Microflora. Raw Meat and Raw Meat Products. Cooked Meat Products. Poultry and Poultry Products. Eggs and Egg Products. Fish, Shellfish and Crustacea. Milk and Milk Products. Ice Cream and Frozen Desserts. Fruits, Nuts and Vegetables. Alcoholic Beverages. Breads, Cakes and Bakery Goods. Convenience Meals. Canned Foods. Water. Examination of Food Processing Plant. Schemes for the Identification of Microorganisms: Introduction. A Scheme for the Identification of Gram-Negative Bacteria. A Scheme for the Identification of Gram-Positive Bacteria. A Scheme for the Identification of Yeasts and Molds. Appendix 1: Recipes for Stains, Reagents and Media. Appendix 2: Probability Tables for MPN Counts. References. Subject Index. Wilkie F. Harrigan is an industrial consultant, and an independent lecturer in food microbiology and quality management in the food industry. He has visited a number of countries in Southeast Asia, South America, Europe, and the Middle East, for both teaching and advisory work.